It’s always in the NBA’s interest to force a Game 7, which is why Game 6 is usually the worst officiated game in any given playoff series, especially when a small market team like the Sacramento Kings has the upper hand. This was exactly the case during the 2002 Western Conference Finals between the Lakers and the Kings. 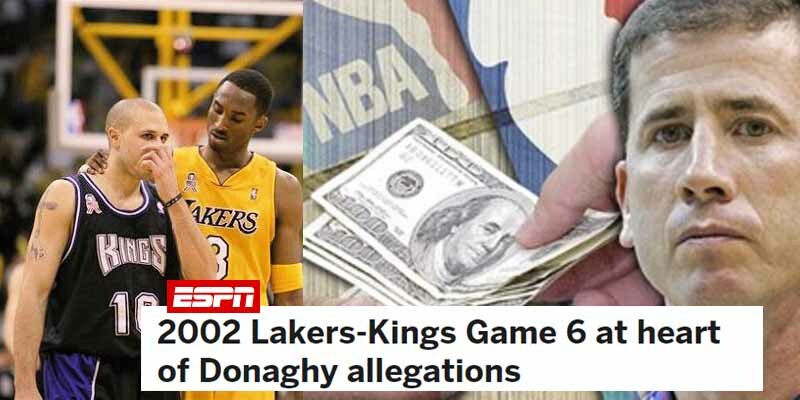 According to Tim Donaghy, who did 15 months in prison for rigging games, Game 6 of that series was rigged to force a Game 7, as evidenced by the Lakers being granted 27 free throws in the 4th quarter alone, resulting in a 106-102 victory which extended the series. There is no definitive evidence, but Donaghy’s testimony, as well as the botched calls are a good indicator that not all was fair.